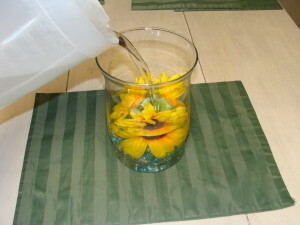 *You can use fresh flowers, but I would not submerge them in water until you are ready to put your centerpiece out for guests. The flowers tend to fall apart and make the water look yucky if left underwater too long. This step is very simple. Depending on the type of flowers you use will determine whether or not you need wire cutters. The sunflowers I used had a very thick stem and scissors just wouldn’t cut it. 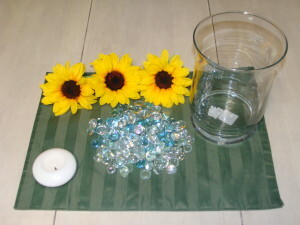 First, decide what blooms you want to use and how many you need. 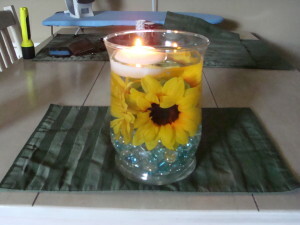 The sunflowers I chose are about as big as my palm, so I chose 3 to cover the inside of my vase. You may need more or less depending on the size of your blooms. Next, take your scissors/wire cutters and trim off the blooms leaving about a 1″ stem. If you are using silk flowers, bend the stem down to anchor the bloom into the rocks. 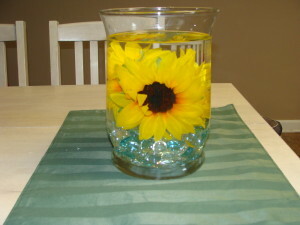 Note: If your vase is smaller you may want to adjust the size of your stem. This step is kind of self-explanatory. Take your rocks/marbles and poor them into your vase. 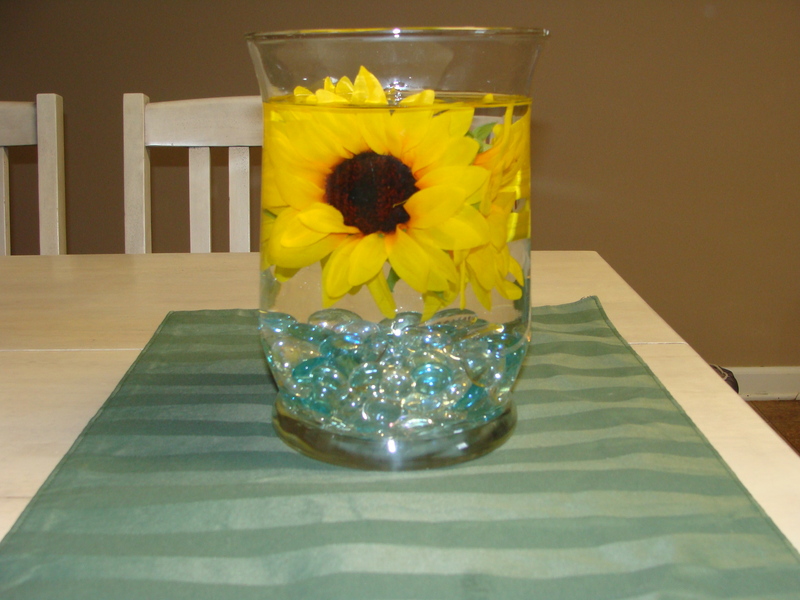 It’s up to you how much you want to fill your vase. 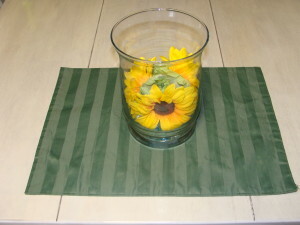 For this step, take your blooms and place them in the vase any way you would like. Try to anchor the blooms down into the rocks with the stem. 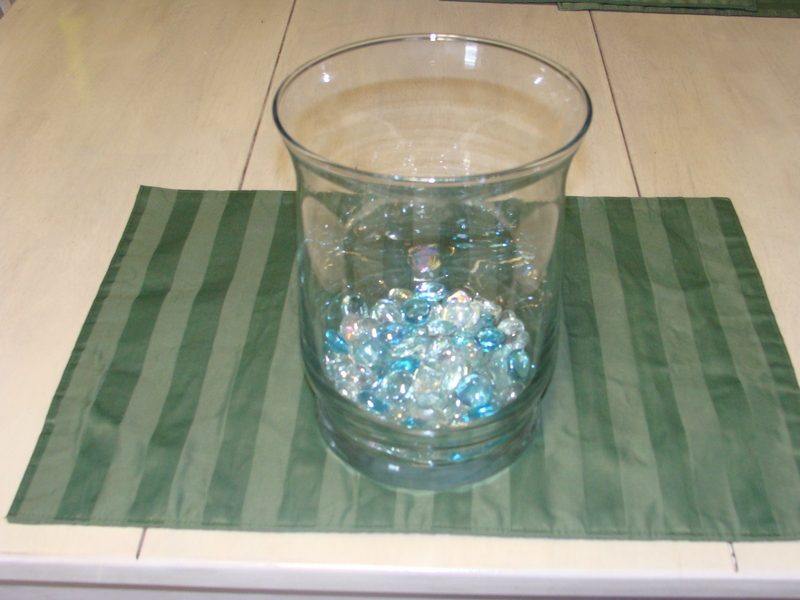 This will help hold them in place when you add water. Again, this step is a bit self-explanatory. 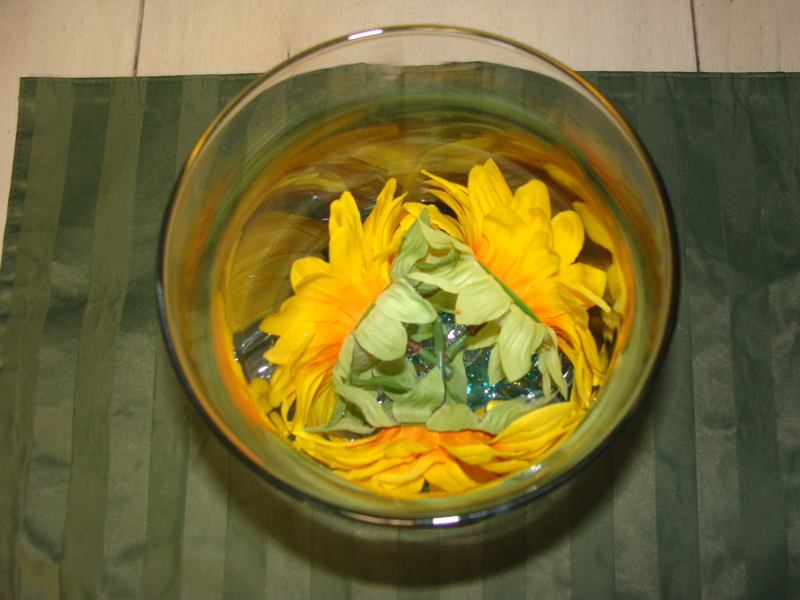 Just be sure not to over fill your vase. Once the water is in the vase, the flowers will probably float to the top if they have a big center like sunflowers. Gently squeeze the air out by pressing the middle. They should sink down to the bottom. 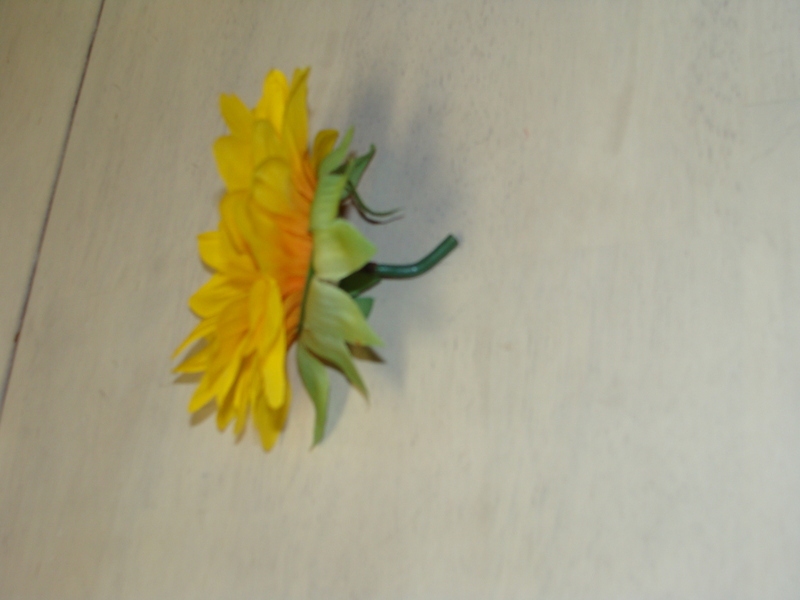 Then you can adjust them to make sure the blooms look exactly like you want. You are almost done! Just add your floating candle, light, and you are ready to display! I hope you enjoyed this tutorial. Be sure to come back for more DIY teaching!